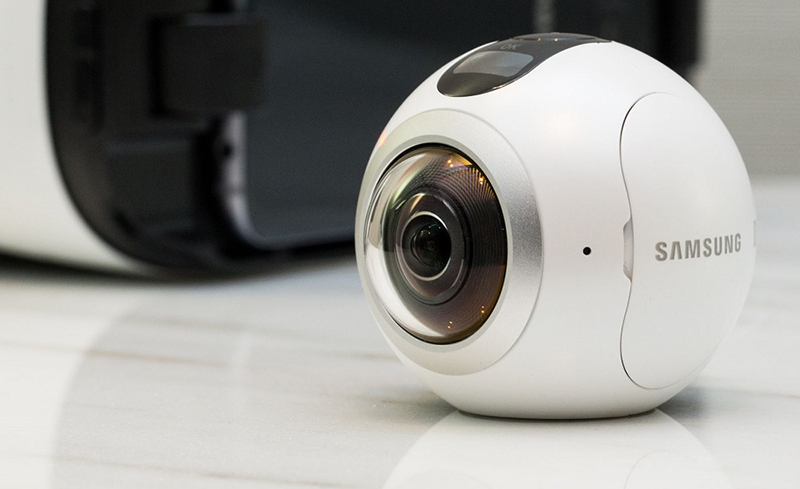 360 degrees cameras have the ability to capture the entire sphere, ensuring the photo or video you capture has a 360 degree view. Those 360° photos or videos are perfect for Virtual Reality headsets such as the Samsung Gear VR, the Oculus Rift or the Google Cardboard… We’ve seen multiple new cameras being released over the past months and we thought that a complete guide for 360° cameras would be useful for future buyers. So we wrote the following guide to help you choose the best 360 cameras that will fit your need. 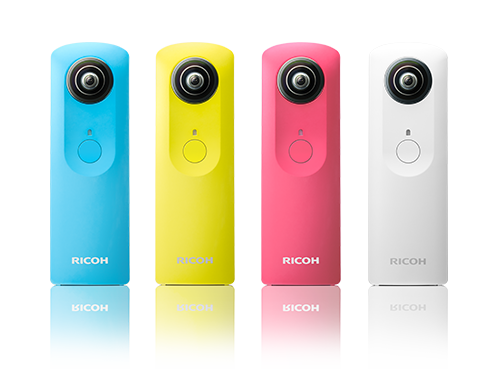 The Ricoh Theta is probably one of the best 360° cameras for personal use. It costs almost $350 and lets you shoot high quality (1080p HD at 30fps for 25 continuous minutes). You can even livestream your 360 degree videos and photos, and the footage is directly transferred to your smartphone or mobile device, as there is absolutely no need to transfer it to a computer first. 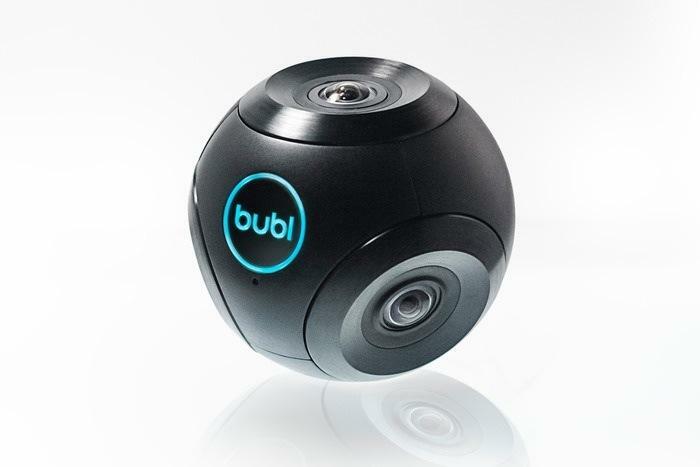 An all-in-one camera that promises some unique shots and captures 1440X1440p of footage at 30 frames per second, Bublcam claims to leave no blind-spots whatsoever. It can input SD cards, can take time-lapse images, and also has special features for HDR (like VR pan and tilt pan functions). Although the video quality is not too outstanding, the 360 degree images, specially the time-lapse photos, are good enough to convince you to buy it. The Giroptic 360Cam is facing a little hard luck these days due to its frustrated customers not getting their kickstarters pre-orders. 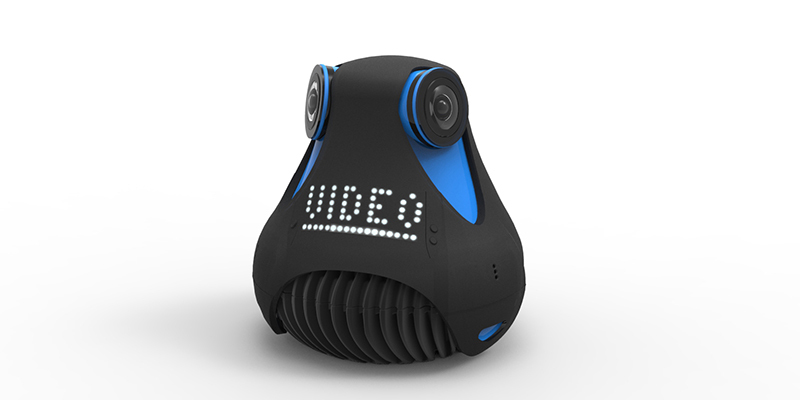 This palm-sized camera that has three 185° fisheye lenses connected to an on-board chip, promises real-time video streaming and HD 360-degree recorded stream at 2048X1024 resolution at 30fps. Giroptic 360Cam can be fixed in a light-socket for security purpose. The camera, though still in its pre-order state, promises to give some tough competition to its rivals. 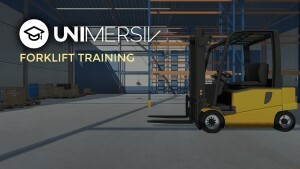 The company promises to start its shipment from April 25th, 2016. 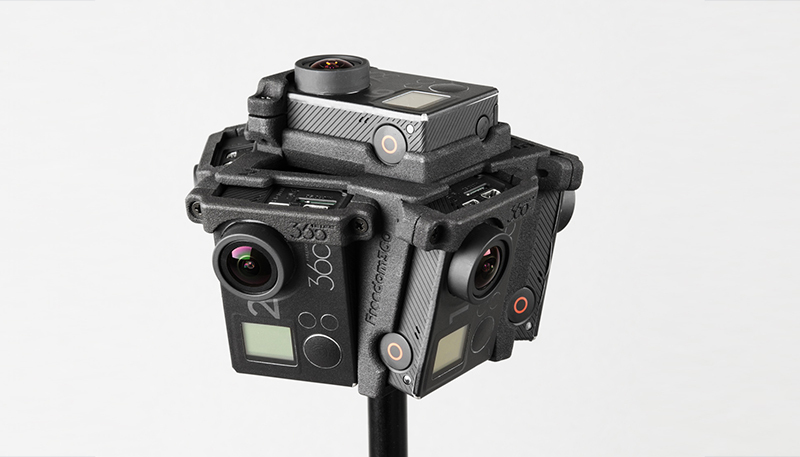 With this 360X180 degree mount, you get the freedom to insert your own six GoPro Hero4, Hero3+ or Hero3 cameras in their particular slots and record 6 separate videos. 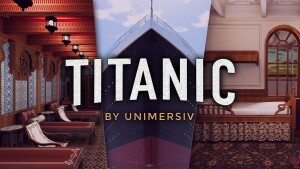 These videos can then be appended to each other to form a complete 360 degree immersive experience. The device is flexible enough to let you hold it from any angle you want without any obstruction or blind spot. You can also mount it to the intended support and use a Wi-Fi remote to start the recording. The remote comes with the black model of Hero3+/ Hero 3, and can be purchased separately with Hero4. 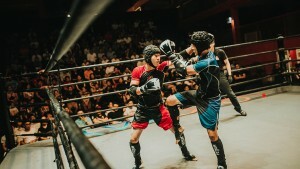 If you are into sports and action, V.360° is for you. Being dust, water and shock resistant, this dual mic 360 degree camera carries some pretty nice features like accelerometer, barometer and altimeter. However, it has a max resolution of 6480 x 1080 HD only which might not make it perfect for VI videos but it still captures the action around you pretty nicely. For consumers and semi-pros, Nikon has introduced a 360-degree action camera that records footage in 4K UHD. With a shock-resistance of 7 feet and water-resistance of 100 feet, Nikon still has to reveal further details. It comes with a rig that is light-weighed and easy to use. 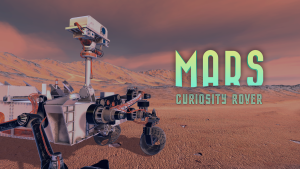 You can fix it to a number of different mounts, like on your helmet or carry it around on a stick, etc. Jump is Google’s platform to shoot and upload virtual reality videos. These 360° videos can be viewed with a Google Cardboard VR headset as well as uploaded to YouTube. The camera rig, with 16 high-resolution cameras, works in coordination with the Jump assembler. 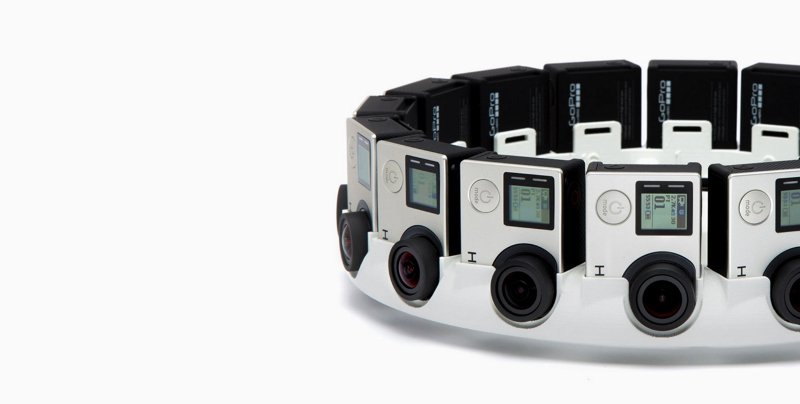 The Jump assembler stitches all the video clips captured on its multiple cameras in a flawless manner to produce an amazing 360° experience. This dual lens camera can capture 180° horizontal and vertical footages and then compile them to give a complete 360° experience. With a high resolution video of 3840X1920 and 30mp images, the Gear 360 can directly transfer all its data to your Galaxy Smartphone using Bluetooth and Wi-Fi Direct. Gear 360 is dust and water-resistant, and quite portable when you are at the go. The Professional 360-degree cameras are ideal when it comes to spherical video production and VR filmmaking. Nokia OZO, for instance, has 8 microphones and 8 lenses, where each lens captures video with a 2Kx2K resolution. Nokia claims that OZO is the world’s first professional VR camera, and weighs less than 10 pounds. This makes it perfect to be attached to a drone. Jaunt ONE is another 360-degree light-field camera by Jaunt VR, which recently teamed up with Google as a Preferred Content Provider. 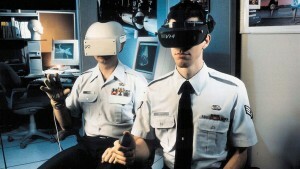 Jaunt’s technology claims to provide an end-to-end solution for creating cinematic VR experiences. 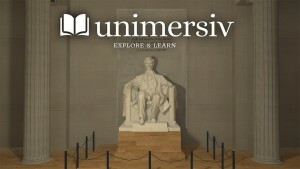 They developed they hardware and software tools to help professionals produce high quality immersive content. The evolving market of VR cameras not only give buyers more options, it also means more competition amongst them to improve their features and reduce their prices, making them the market leaders when it comes to buying the perfect 360 degree camera.